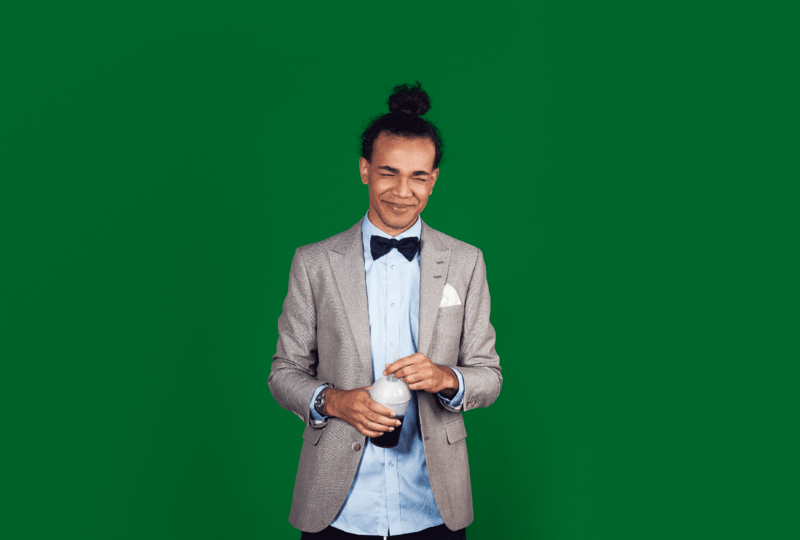 After the successful launch of Warrior Coffee, the specialty coffee company, we knew that it was time to shake up the coffee culture once again. 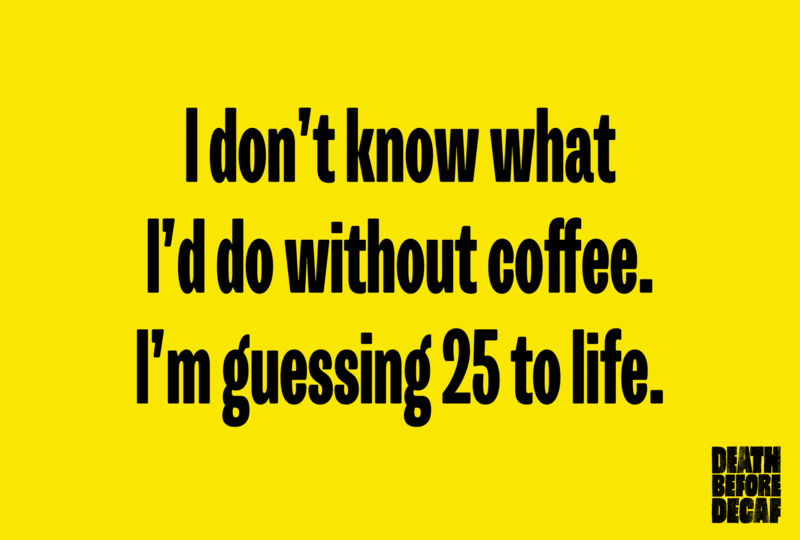 After studying the market, our team discovered a need for a new, distinctive coffee brand. We came up with a vibrant concept that would offer great quality on an affordable price. 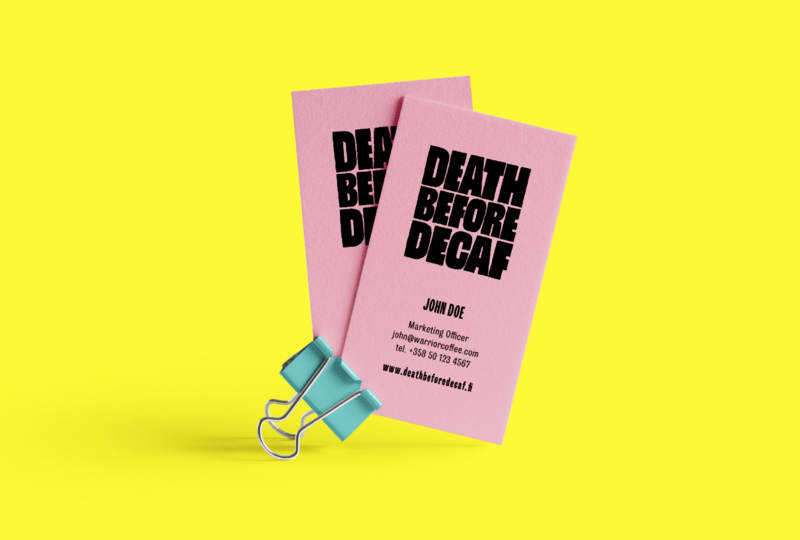 We had seen the great and humble work of Riku Uski and his crew with Warrior coffee and wanted to introduce him an opportunity to challenge the outdated Finnish coffee culture and its norms with a new brand – Death Before Decaf, the black nectar of gods. 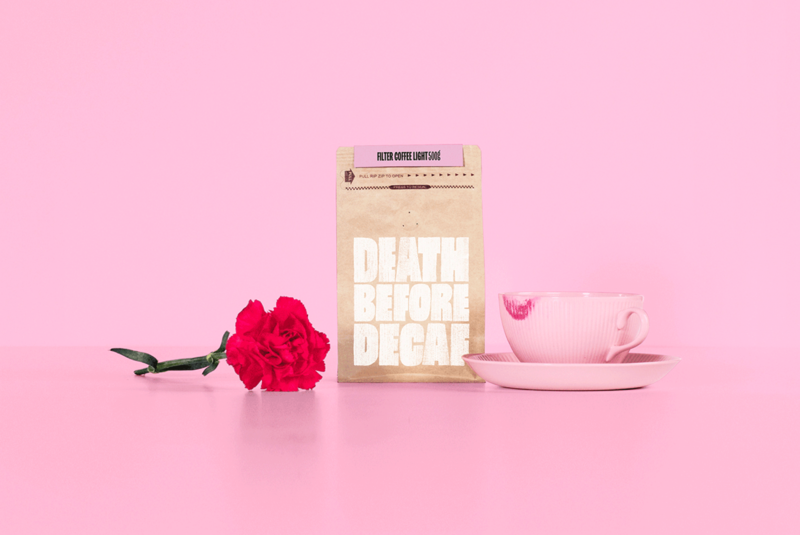 With the arrogant yet down-to-earth DBD brand, we wanted to truly wake up the coffee consumers out of the slumber of ordinary coffee experiences. 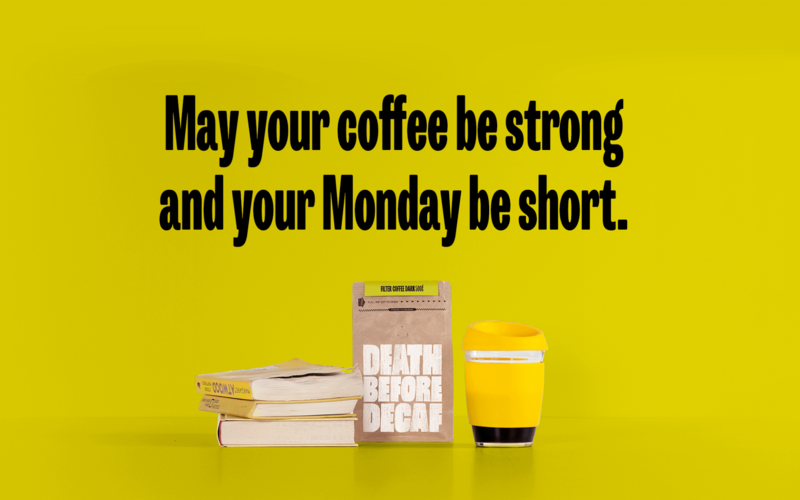 We created an edgy, unapologetic brand personality that shamelessly provokes its audience by a bluntly humoristic tonality, renegade imagery and a descriptive name that stands out from the mass of traditional coffee brands. And the rest is history. 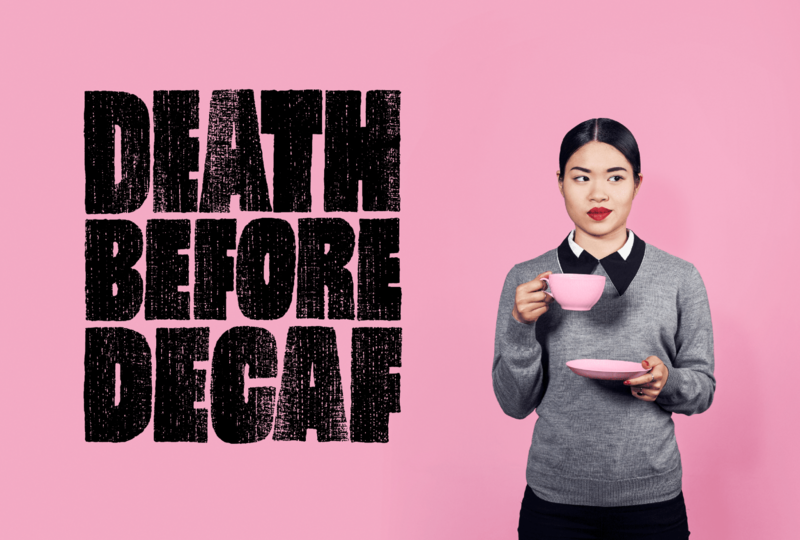 Death Before Decaf found its fans and audience immediately. After its launch at Helsinki Coffee Festival 2016, it gained wide public attention, and the brand identity was met with great reviews. DBD had a real wow-effect on the industry. In just four months after its launch, it was already considered one of the go-to options, and a challenger for the current most celebrated small roasteries. And the saga is just beginning. We are continuing to evolve the brand and the product family with numerous endeavors together with our staple client Warrior Coffee.